Manistee, Michigan is known for it's beautifully clean beaches, national forests, wildlife and fishing! We have all the benefits of a big town with a small town friendly community. 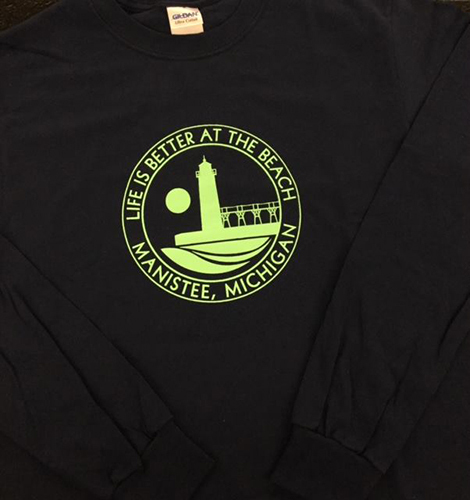 Life is better at the beach in Manistee! Come to Sports Ink located on US 31 north of downtown Manistee for all your manistee screen printed souvenirs!